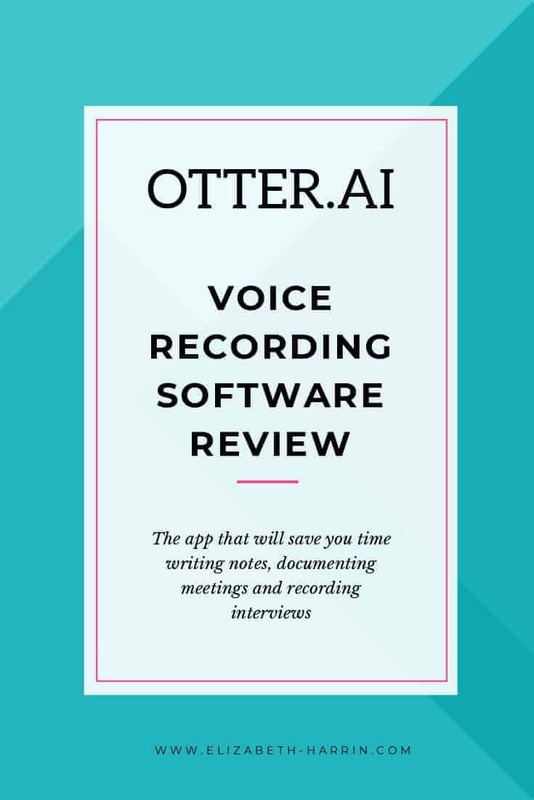 Otter.ai is voice recording software with a generous free plan. It’s designed as a note-taking app with extras: it records your meetings or voice notes and allows you to search and share the results. The output from Otter is more than the text of what you have said. It presents the transcription with highlighted key phrases that let you jump to the relevant part of the text. It will also learn to identify speakers automatically. This could be helpful if you do regular interviews with colleagues. You have to tag other speakers manually to start with, but over time it picks up their voiceprint and starts to identify them itself. Why use Voice Recording Software? Voice recording software lets you speak, and the words appear on the screen. It removes the need for typing – at least, for the bulk of what you want to write. You are still going to have to do some formatting with the results. 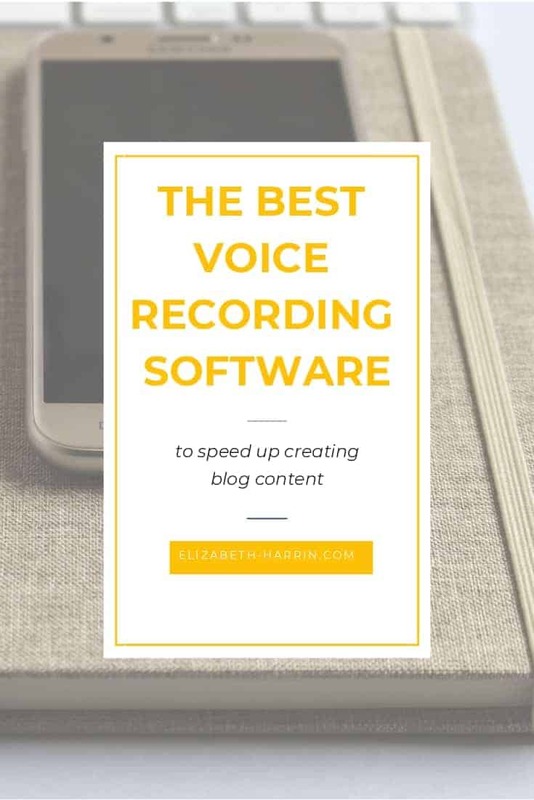 Voice recording software for bloggers is helpful because if you aren’t a particularly fast typist, you could turn out content more quickly if you dictate what you want to say. I type quickly, but I dictated almost my entire first book with dictation software so I’m well aware of the time-savings you can get from not having to type and do all those spelling corrections! Another reason for using tools like this is that you can transcribe interviews and meetings. You may find a use for Otter as meeting recording software beyond what you want to use it for on your blog. It was easy to set up Otter on my iPad and also on my laptop. I like the fact that it records just as easily from the laptop/browser interface as it does through the app. When you set up the app, it asks you to read a sentence to get a feel for your voice. This is a very short exercise, the results were OK, not perfect. I remember setting up Dragon Naturally Speaking many years ago and I had to read a long paragraph for that to calibrate to my voice. It was far faster to set up Otter. The user interface is very friendly and it’s simple to get started with virtually no instructions. Dictation is where you speak and the software types what you say in real time. I tried reading out loud. I got good results without having to use headphones, both on the iPad app and the browser version. I was surprised at how accurate it was. Having said that, I was speaking slowly and clearly with no background noise. As I was reading from a text, I was reading fluently. This meant the sentences were clearly defined and there weren’t the pauses, repetition or ‘ums’ you get in real speech. I did another test where I made up what I wanted to say as I went along. It didn’t feel fluid as I was speaking – it felt more like I was giving a presentation. I do sometimes give presentations to large audiences and it was that kind of cadence in my speech – precise, thought through, with few ums and errs. The results were again very good. I think it would be different recording a meeting with several participants and everyone speaking over each other. However, that wasn’t the purpose of the test. Today, I was looking at this voice recording software purely with the intention of seeing how useful it would be to bloggers. Example dictation without any editing. I thought it did pretty well! Transcription is where you have pre-recorded audio or video and the software uses this to create the typed text. You can do this in Otter. Upload a video or audio file from the browser interface. Otter will then transcribe the results. I uploaded a short video to test this. The voice in the video had a US accent so it was different to the previous voice recording I had done through the app. I also use the transcription service Rev. The Otter results were not as good as the results I normally get with Rev. However, that’s a paid-for service that uses humans to listen and transcribe. 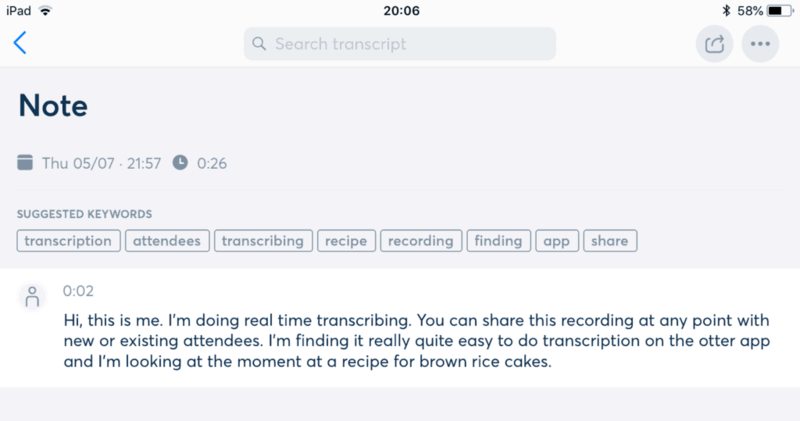 Otter is an AI tool for voice recognition and transcription. I also found that the punctuation was not as accurate. The transcript had a lot of run-on sentences. I had to go in and manually work out where sentences ended and do the corrections. If you had simple audio files, for example the recording of a Facebook live video, you may find that the quality is at least good enough to give you a starting point for a quick review and edit. Whether you transcribe a video or dictate directly into the app, you can edit the text to improve accuracy next time. There are other features as well, such as the ability to share conversations, sync calendar events and import contacts, but I think these are more relevant to meeting recordings and less to blog content creation. You’d be right to consider how secure this is. If you are transcribing business meetings, or conversations with clients, you want to be sure that privacy and security are full covered. Otter syncs data over an encrypted connection and stores your recordings and data in a secure cloud. They promise not to share your information for advertising purposes, so you shouldn’t see Facebook ads start to pop up based on what you just talked about in your last voice recording. 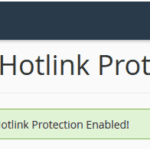 As with all tools, you should make sure that it meets your own internal standards or policies for security before using it. Otter currently only works in English. You can change the version of English used to better match accents, spelling and idioms but it is only currently available in English. This could be a disadvantage if your carry out much of your business in another language. 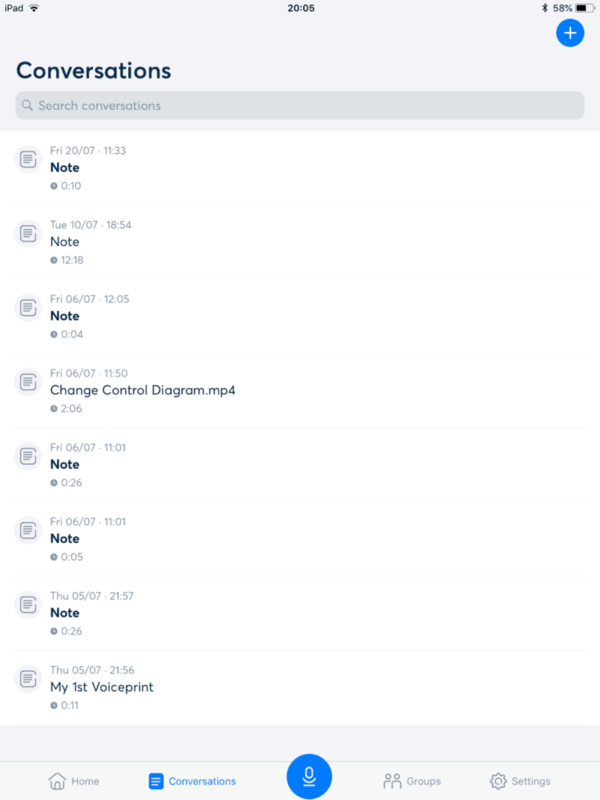 The benefit of using a cloud-based system instead of the ‘standard’ Voice Memo app on the iPad is that I don’t think your recordings are not saved on your device. Voice Memo uses up to 10Mb of space for every minute of recording. That’s a drain on your device storage. The other benefit is that you can sync across devices. It’s unlikely that you’ll want to just keep your transcripts and dictations in Otter, so you’ll need to be able to access them, copy them and do whatever you want with them. Let’s face it – although phones and tablets make this possible, it’s a lot easier to do the bulk of your content creation and blog post writing on a laptop or desktop computer. With Otter, I can log into the browser version on my laptop, grab my text, add the headings and other formatting required for a blog post and then paste it into WordPress. I will continue to use Otter, both to do draft transcripts for my short videos and as a way of dictating information for the basis of a blog post. 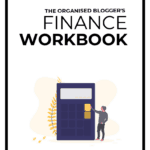 I tend to formulate concepts for articles and then fill in the outline, so it’s not practical to dictate a whole blog post from top to bottom. However, I could use it for capturing ideas after reading a book, to create the skeleton for a book review, for example. I can see many uses for capturing voice notes. I have tested a number of different apps for recording voice, and I think Otter has the easiest interface to use. It’s very user-friendly, and the results are good. I won’t be moving away from Rev for the transcripts of my long video interviews (like this one), but I can definitely see value in using this regularly for blogging.